When I first read about Punk Rock Jesus in Comic Shop Insider I was intrigued. I’m not one to fall in for the tropes of ‘punk’ – I’m pretty much of the opinion that nothing has really been ‘punk’ since about 1979. HOWEVER – I’ve always thought the real-world, over-used visual stylings of safety pins, liberty spikes and tattoes can still be used to great effect in fictional realms. There’s something about having grown up in the late 70’s, early 80’s, when movies and comics were using the left over punk imagery to shape very nihilistic and often destitute characters and tableaus for their visions of the future. Think about Chris Claremont’s early-eighties Uncanny X-men and his Morlocks, or cinema wise think Mad Max*, as well as pretty much every cop movie or show at the time, where the hoods often had mohawks, chains, spiked wristbands and of course, switchblades. During the initial success of the television show Twin Peaks, circa the spring/fall of 1990, some pretty interesting fringe marketing popped up. I was fortunate enough to see the pilot episode the night it aired on ABC and – as unlikely as it would seem for a freshman in high school at the time – become completely infatuated with it. At the time I’d fallen into a bit of a bonding experience with my father while watching another weekly drama, CBS’s Wiseguy, which featured Ken Wahl in the lead but more interestingly a young Jonathan Banks and an even younger Kevin Spacey. The show might or might not hold up in retrospect – it’s impossible to find in tact on DVD because of some music rights that hover around the Moody Blues – but by nature of the cast alone you can see it was influential. And at the time I guess it was what my household needed. My father is an amazing man and we’re close, however close in my house probably doesn’t mean exactly what it means in other people’s homes. We’ve always had very separate lives and interests – he’s into cars and all things mechanical while for myself it’s music, literature, movies and comics. Still, we seemed to connect with serialized fiction. Maybe because early on my Dad fostered my love of the visual medium by taking me to the movies as a kid – we shared amazing theatrical experiences with Star Wars, Indiana Jones, Ghostbusters*. All this changed though, when I entered Junior High. I’ll tell you right off the bat that I’ve not read Y: The Last Man. I know, I know… I’m going to get to it. Around the time the first trade came out I bought it and dug it – I can’t say I was moved to run out and shake my ever-faithful comic book dealer Mike until he handed over the next monthly issue like I was when he forced me to read the first four trades of The Walking Dead – but I liked it nonetheless. However, at the time I was preparing to move 3000 miles away from home and a lot of sacrifices were made. Y was one of them. In fact, until very recently I’d not really read ANY Brian K. Vaughan other than what he did in the early oughts with Runaways. About six months ago however I remedied that by reading the entire run of Ex Machina trades in very short order and ABSOLUTELY LOVED THEM. 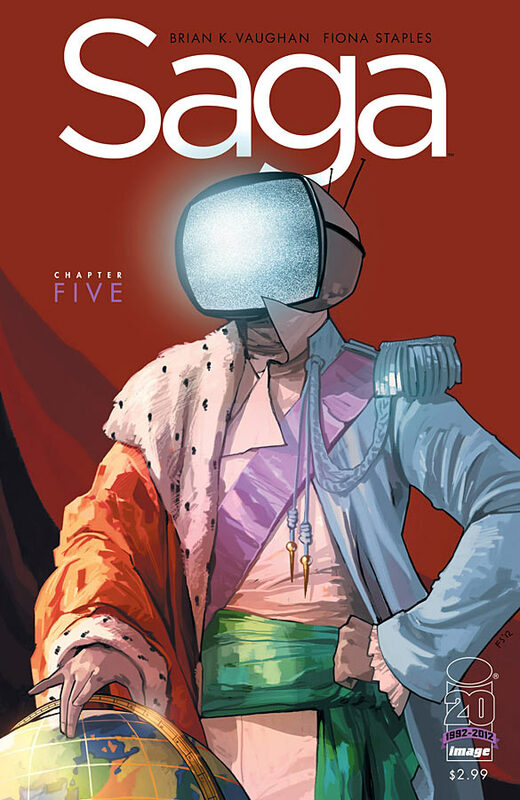 West Wing meets modern super hero comics, and if that sounds like it most likely wouldn’t work you’re probably right – unless of course BKV is the guy writing it!!! I’ll admit that if you had told me a year ago that I would be reading ANYTHING from DC’s New 52 Reboot/Relaunch except for the Grant Morrison helmed books I probably would have laughed in your face. Then you would have downed the rest of your pint in one long, arrogant gulp and smashed me in the face with the glass. Then I would have invoked the power of Garth Ennis and kicked your arse. But color me surprised, none of that happened and I am indeed following several of the *ahem* New 52.